Editor's note: Mariette DiChristina is the Editor in Chief and senior vice president of Scientific American—the first woman to hold the role in the magazine's 170-year history. She has been a Fellow of the American Association for the Advancement of Science since 2011 and served as president of the National Association of Science Writers in 2009 and 2010. She joins us here today to share her perspective on the Google Science Fair, which is in its fifth edition this year. 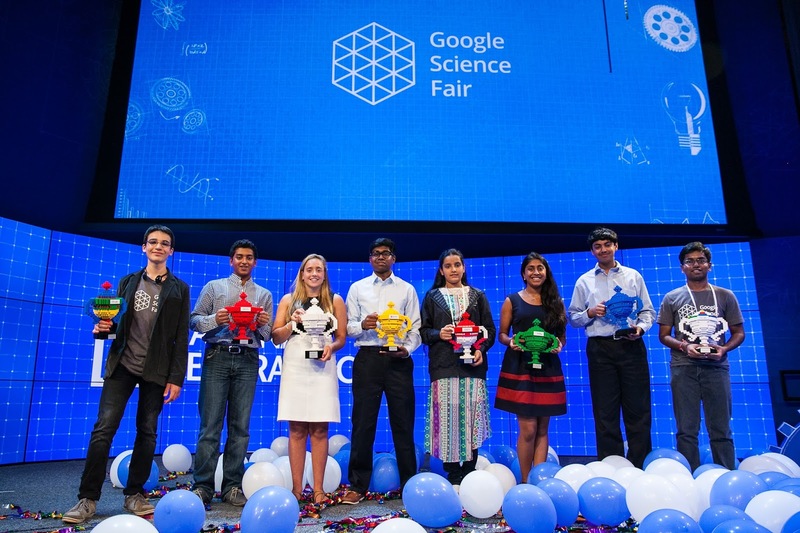 This marks my fifth year with the Google Science Fair. In October 2010, when I had my first conversations with my friends at Google about their idea to create a global online science fair that any kid 13–18 could participate in, I thought it sounded pretty cool. But I couldn’t then imagine just how inspiring and powerful such a competition would turn out to be in reality. At the time, I hadn’t even been editor in chief of Scientific American for a year, but I had real ambitions to try to do something to make a difference in educating our young people about science. You see, I believe that science is the engine of human prosperity—it’s the way we grapple with some of the world’s most challenging problems, from cures for diseases to living sustainably in a finite world. So I’ve always seen the idea of fostering evidence-based thinking in our next generation of global citizens as vital. 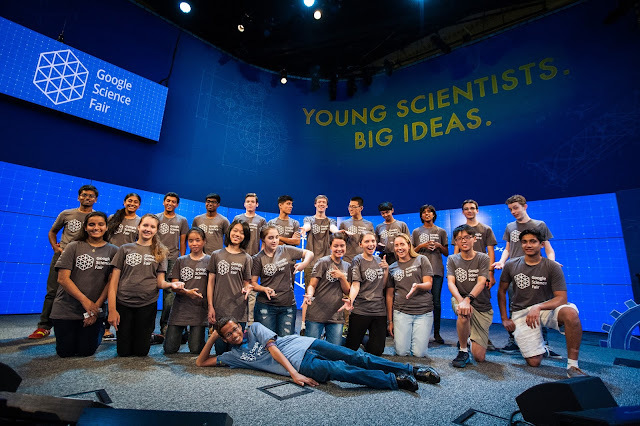 Now, five years later and working with partners LEGO Education, National Geographic and Virgin Galactic, the Google Science Fair has an impressive track record of enabling our world’s young scientists to shine. Over the years, they’ve tackled serious issues, like world hunger and the energy crisis. Their projects have worked on how to diagnose and treat diseases like cancer and Alzheimer’s. They’ve engineered flashlights powered by their hands and plastics made of banana peels. And to date, the fair has provided almost $1 million in scholarships, and sent four grand prize winners on trips around the world to further their scientific passions. The Grand Prize went to Olivia Hallisey for creating a novel way to detect Ebola. Girish Kumar won the Google Technologist Award for helping improve learning through auto-generated study questions. The National Geographic Explorer Award went to Deepika Kurup for her idea to use solar-powered silver to create clean drinking water. Krtin Nithiyanadam’s project focused on improved diagnosis and treatment of Alzheimer’s Disease and won him the Scientific American Innovator Award. Pranav Sivakumar's automated search for gravitationally lensed quasars earned him the Virgin Galactic Pioneer Award. And Anurudh Ganesan took home The LEGO Education Builder Award for his unique twist on effectively transporting vaccines. If you didn’t get to tune in, you can still watch the Awards Show live stream and check out the complete list of impressive finalists and winners, including our first ever Inspiring Educator, Aydan Meydan from Bosnia and Herzegovina. In all of these finalists and the thousands of submissions from students in 100+ countries, we see something common. These students are inventive, thoughtful, and determined to help make the world a better place. All they need is a chance and a platform to do so. And, unlike some of us adults, they are ready to try things that other people think are “impossible.” I find them inspiring. It’s imperative for us to support and encourage our young people to explore and challenge the world around them through scientific discovery. So we’re especially glad that Ahmed Mohamed—the 14-year-old clock maker from Texas—took us up on our invite to attend this year’s event. Curious young scientists, inventors and builders like him should be encouraged and empowered. The past decades have brought tremendous innovations and challenges, and none of us knows what the future of scientific discovery holds. But I can tell you one thing: it’s going to be better thanks to these kids. They will be part of building a brighter future for us all—and as they do, those of us at Scientific American, Google, LEGO Education, National Geographic and Virgin Galactic will be cheering them on. So start thinking of your ideas for next year! We can’t wait to see what you’ll try next.